He then says that when you travel abroad, you learn a bit about the culture, language, before you go. He then shows a map of the diverse peoples of North America and asks: "why should it be any different here?" Symes points out that social workers coming into the territory do not stay for long, a couple of years on the regular. Asks if it's difficult to learn all of the lessons needed in that time. "Definitely," he says. Symes then asks if Lightfoot sought the permission of Pauktuutit to use their report in her evidence before the inquiry - they presented it yesterday. Lightfoot says no, they didn't. Symes ends her questions. Elizabeth Zarpa, from ITK, is up next. Zarpa begins her questions by asking "imagining ourselves richly," a concept introduced earlier this week by Dr. Janet Smylie. She asks the panel how they would do this in the context of their own lives. 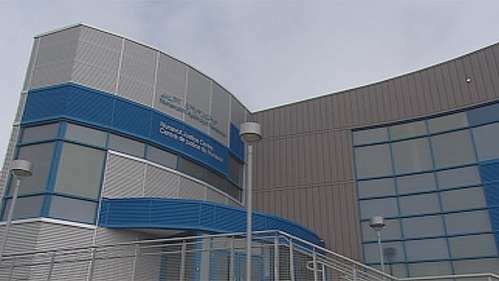 "I would imagine that I wouldn't not be working at Thompson Rivers University," says McNeil-Seymour. That the university would find a way to nurture a home-grown scholar like myself. That I could be in my home community and standing on the front lines opposing the Kinder Morgan pipeline project." "My community here in Iqaluit is quite rich," says Redfern. "We have so many families from so many different regions that have settled here. In order to imagine my community more richly, I imagine everyone having equal access to food, and shelter, everyone having a roof on their head. Everyone having a house that is safe, that isn't overcrowding. I imagine all people to have healthy and gratifying relationships." "I would imagine there to be rich programming and rich access to land-based programs for everyone who doesn't have... the financial means or the knowledge to be able to access and use the land. And I would imagine if our community was rich as could be, that we would all have strong Inuktitut language skills." "What Jasmine said," Lightfoot says, to laughs. They then get into their answer: "communities that are active, that are participatory, that support people from the ground up. My colonial brothers and sisters, that their needs are equal to my own, and that I'm able to support their needs and they're able to support my needs. "That we would be working in our environments instead of connected to the capitalist machine... that there's equal value to our traditional skills, spending time with elders, learning our languages and cooking together. That that is given equal priority." Zarpa highlights the testimony of the Inuit perspectives panel earlier this week. It focused on the dog slaughter, federal day schools, "in a century, so much has changed." Lightfoot says that the act of colonization is still ongoing. "Placing foreign ideals of people, making them change their practice... that's still a way of life. Capitalism is a way of colonization, so if we're still in that system, then we're still being colonized." Looks to Inuit hiring quotas, and how they are not being met. Points to a Nunavut gov't report that shows the majority of staff housing goes to non-Inuit. "They're still in a position of repression, right?" "The argument is that we need people with the skills first," Lightfoot says. "Well, if we're not pulling people in, and teaching the skills, then it's going to perpetuate." Talks about the importance of immersion in schools, but also people "actually working in faith" to improve Inuit hiring numbers. Redfern also mentions that in Nunavut, you can only receive Inuktitut as your primary level of instruction until grade 5. At that point, there is no transition, those students are thrown right into english-language instructions. Says the system of education "unfairly deprives Inuit people of being able to achieve academic success, and go on to university, and be able to achieve these high-level positions that come with things like housing." Zarpa now turns to the topic of suicide in Inuit communities. CBCThe jury in a coroner's inquest into Nunavut's suicide epidemic is urging the territorial government to declare suicide a public health emergency. That recommendation tops the list 41 steps it says the Government of Nunavut needs to take to tackle the crisis. Lightfoot suggests the importance of breakfast and lunch programs, stating that people who go to school have much lower rates. Also suggests having spaces that can be open and accessible at all hours. "I think that ensuring that people have the basic determinants of health cared for," says Redfern. She speaks about stressing early childhood development, like emotional skills. That's something that Dr. Janet Smylie spoke about earlier this week. Here's our wrap from that day. 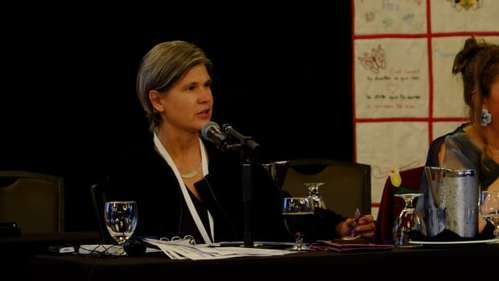 CBCThe importance of health and well-being in early life for Indigenous people were highlighted Tuesday afternoon at the federal inquiry for missing and murdered Indigenous women and girls, as four days of hearings in Iqaluit reached their halfway point. Here is more information about suicide rates in Nunatsiavut. They are even higher than Nunavut's, up to 25 times the national average. CBCLabrador suicide rates were 20 times higher for Inuit people and 14 times higher for Innu people compared to non-Indigenous rates in Newfoundland, says a new study covering almost two decades. Sorry, internet issues here. Zarpa's questions are now over. Joëlle Pastora Sala from the Assembly of Manitoba Chiefs is now asking questions about the link between colonialism, resource extraction, and violence against women and LGBTQ2 people. "Early colonial attitudes... if you look at the very, very early documents the Europeans were writing about America, and writing about Indigenous women, there was an exoticism." She refers to it as the "Pocahantas complex." "There was an idea that resources were abundant, and they could feed the European machine... In order to accomplish that, you have to divorce people from the land. And the ones that feel the brunt of that are Indigenous women, because we are perpetuating life." She talks about its impact on reproductive health: "it impacts the next generation right from their very first cells." Asked about man camps and their impact on violence against Indigenous women and LGBTQ2 people, Lightfoot says that articles mention Indigenous women and children are being abducted and found in man camps, missing people have been last seen near them. "This concentration of people influxing around vulnerable communities... brings those consequences." She then asks Lightfoot about Indigenous women in resource industries being given low-paying jobs, if jobs at all. "The transient employees that are in those positions, they're in a position of power. The low-paying Inuit women, they're not just physically vulnerable, but they're exploited, because they're seen as less than." Lightfoot is asked to comment on the difficulty of Indigenous women and LGBT2Q people obtaining justice for sexual assault. Lightfoot says both groups face those barriers "as a nature of the colonial machine." 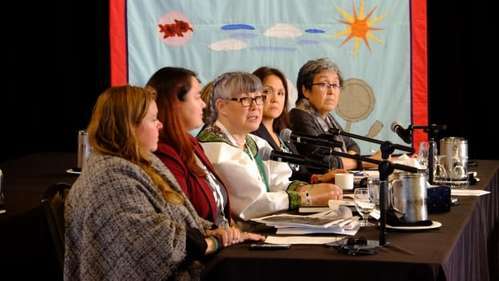 "For Indigenous women, you can very easily see that if they've been transported to these man camps, or other camps, it's very hard to get back to report... in my own experience, I've seen indifference of RCMP. We need to be cognizant of the fact that many RCMP officers are only brought into a community for a short time and then sent out." "The message immediately you're given is: 'well, were you using drugs, were you using alcohol?' And the attitude if you're a two spirit person is: 'well, you're two-spirit, you don't need to consent.'" They say. Lightfoot is asked if the personal cost to people for resource extraction should be included in impact benefit agreements: "yes, absolutely." Says that these agreements should be gender-based. Pastora Sala turns to McNeil-Seymour for her final question. She asks about the link between resource extraction and violence against Indigenous women, referring to a paper that he authored. "Settlement naturally occurred by having the land be something to be conquered, something to be won," he says. "And I don't think that Canadian culture has not necessarily looked at women in that particular way, too." He speaks about the hypersexualization of Indigenous women through Halloween costumes, for example. "We can look at the state of the land, we can look at the state of people, as well. Flying over British Columbia, you'll see a pockmarked landscape." Pastora Sala's time for questioning has ended. We are now on a 15 minute break here and will be back at 10:30 ET. We're coming back from break. Julie McGregor, from the Assembly of First Nations, is next to ask questions. The first one is directed at McNeil-Seymour and Lightfoot, and concerns man camps. In terms of their own perspectives, what would be a respectful way to counter that action when the resource industry comes into a community? Lightfoot uses their territory as an example, and a camp set up there. "We have own group of community individuals that were set up to ensure the safety of our community," they say, informed to do so in a peaceful, non-violent way. However, the response from the resource industry and the police was that they were confrontational. "We need to be given the same kind of respect [as these actors]," they say. "But also, when there's recommendations made from our nation in the consultation process and the policy process, that those things need to be given weight." McNeil-Seymour says that in Kamloops, he asked a resource company how they would mitigate the social impacts to them entering the territory. They never responded. "I don't necessarily think that mitigating those costs is on the radar," he says. McGregor says that when a resource company comes into an area, they're often directed to "accommodate" the local First Nations - through hiring, respected sacred sites, etc. - but they don't respect the social impacts on community. Should there be a similar obligation on these companies socially? "Absolutely," says McNeil-Seymour. "They should be putting forward recommendations and also putting aside money for those impacts." 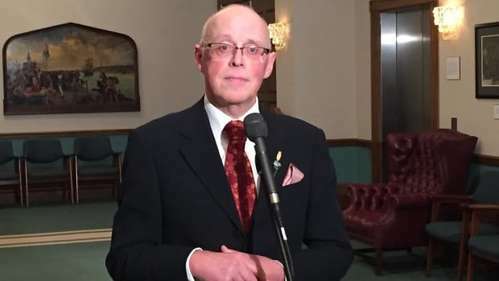 Turning to Bill 69, which will bring in a new environmental impact assessment framework, McGregor points out that it will include gender-based analysis. She asks if it should include a culturally appropriate gender based analysis. "Absolutely," says Lightfoot. "The impact review assessment doesn't take into account cultural impact... they don't take into account, for example, food sovereignty. So I think there should be that kind of analysis."